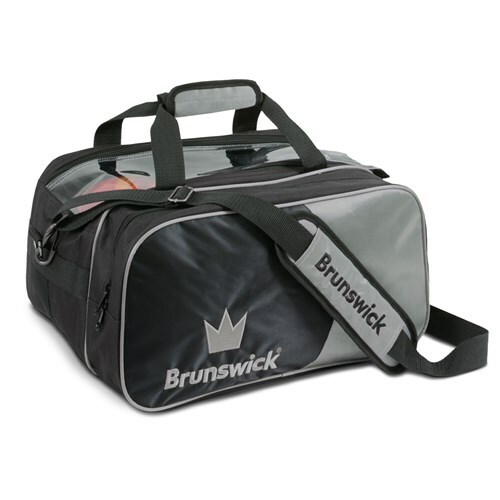 The Brunswick Crown Double Tote offers top quality features for this bag. This tote features a transparent top view to see your bowling equipment, shoe pouch that holds up to men's size 15, and is the perfect bag for travel or tournament players! Due to the time it takes to produce the Brunswick Crown Double Tote Silver With Pouch ball it will ship in immediately. We cannot ship this ball outside the United States.